Most of the world was very much lucky to witness an amazing total lunar eclipse yesterday - and not any random lunar eclipse, it was the longest lunar eclipse of the 21st century. 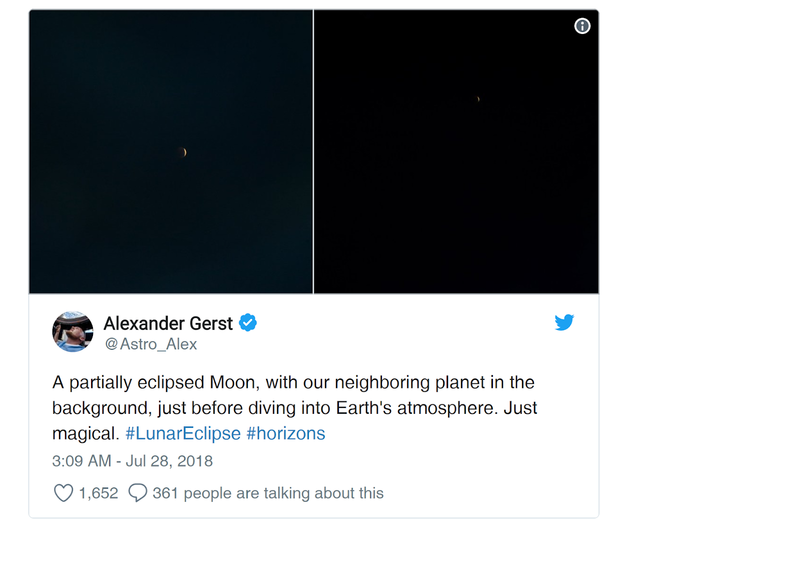 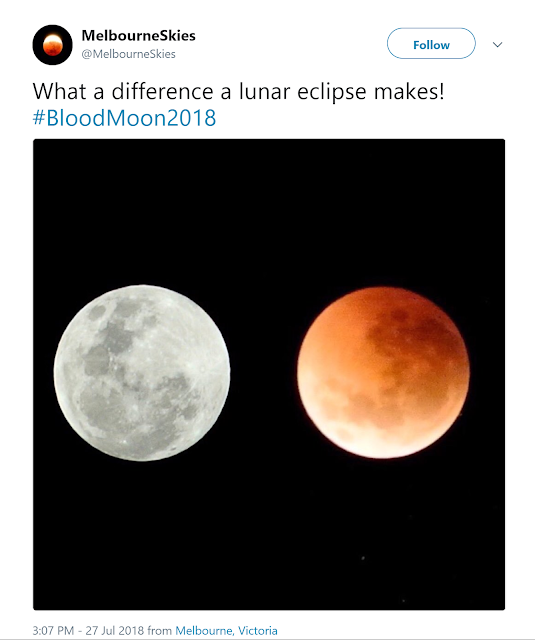 Unbelievably, the Moon was totally in Earth's shadow (also known as totality), turning it a dark blood red, for a complete an hour and 43 minutes. 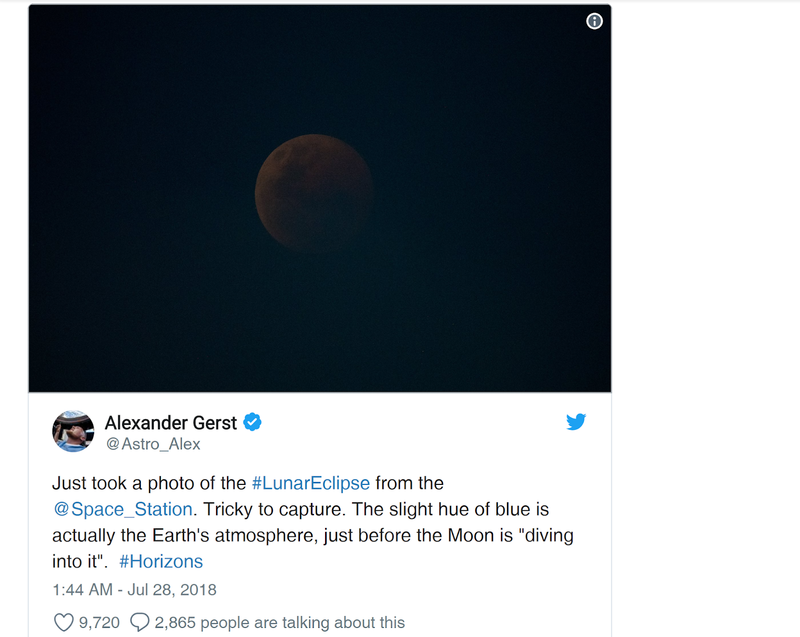 Mostly a lunar eclipse’s totality only persists for about an hour tops. 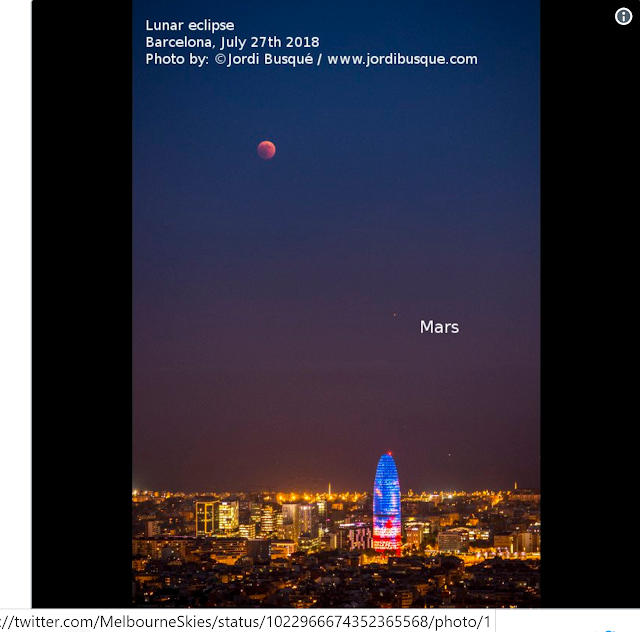 This time with Lunar Eclipse, Mars was also hanging around close by and shining far more bright than it has in our night sky for last 15 years, and it was a truly attractive spectacular show. 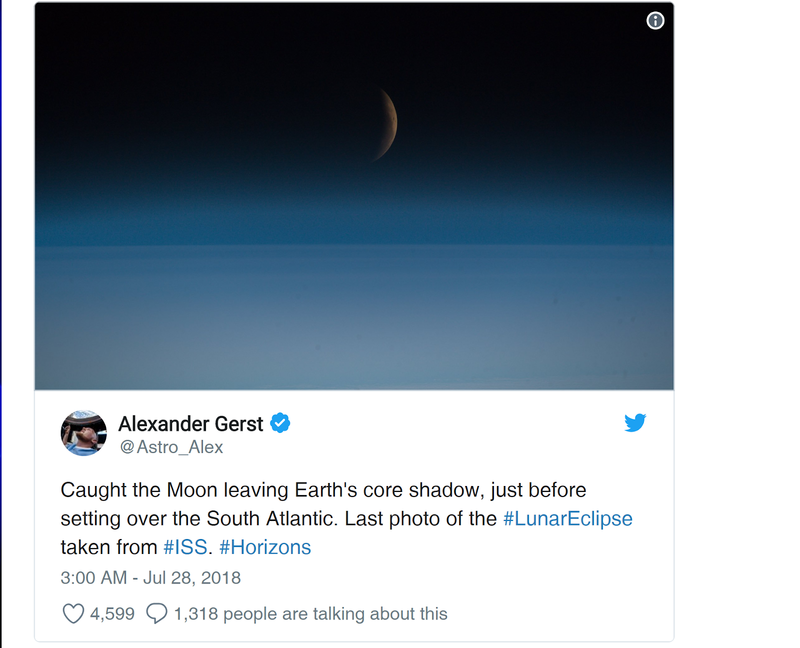 One of the most spectacular views was from on board the International Space Station, as these imageries taken by European Space Agency astronaut Alexander Gerst show. For those among us, who missed the chance to see it (which was most of the Americas and United Kingdom due to cloudy weather), we've also gathered the most remarkable images of the event from Earth.